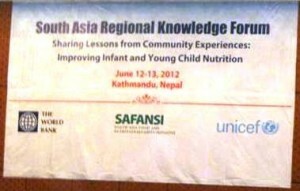 As one of 21 recipients of the 2009 South Asia Region Development Marketplace Awards to “Innovate for Nutrition” Calcutta Kids was invited to participate in a World Bank sponsored conference titled “Knowledge Sharing Forum on Infant and Young Child Nutrition” which took place in Kathmandu Nepal on June 12th and 13th. I went with our director, Noah to represent Calcutta Kids. Along with representatives from the other 20 award winning organizations, the forum was attended by nearly two hundred representatives from governments, international NGO’s, and civil society organizations working to alleviate the horrific nutrition indicators which plague South Asia. The forum was also attended by journalists from throughout South Asia with the idea that in order for the public to care about nutrition, media information must be accurate and urgent. The conference was jointly organized by the World Bank, UNICEF, SAFANSI, and presentations were made by representatives from all those organizations as well as those from organizations such as FAO, CARE, DFID, and the Micronutrient Initiative. It was interesting and fun to meet some of the world famous nutritionists and development workers whose work we regularly use and are inspired by at Calcutta Kids. Julie McLaughlin, Sector Manager for Health, Nutrition and Population in the South Asian region of the World Bank informed us that the latest estimates show that over 336 million people in South Asia are facing chronic hunger. It was also discussed that the South Asian region, has the highest prevalence of malnutrition in the world and the child malnutrition in the region is estimated at 46 percent. It is worse than in Sub-Saharan Africa where the corresponding figure is 26 percent. Melanie Galvin, Regional Director of MI, reminded us that that entrepreneurship cannot be possible without healthy population. If the population is deficient of vitamin A and iodine for example, how they can move forward for entrepreneurship? Noah and I found two of the presentations particularly exciting. The first by Tina Sanghvi, the Bangladesh senior country director of Alive and Thrive said, “The crisis (of malnourishment) is here and the solution is in our hands”. She continued by saying that the knowledge gap is the main reason of high rates of malnutrition in South Asian countries. Another point she highlighted was that many mothers have no idea that a malnourished mother can also breast feed properly and that is a serious problem. Tina also shared some terrific TV commercials on health messages that Alive and Thrive has created and now show regularly on Bangladeshi television channels. Calcutta Kids was able to get copies of some of these high quality commercials and we plan on using them with our beneficiaries. The second was by Leslie Elder, Senior Nutrition Speci alist at the World Bank who gave a fantastic presentation on responsible and effective ways to scale up programs. When Calcutta Kids is ready to scales up its programs, the framework that Leslie shared with us will certainly be an invaluable resource. Leslie’s presentation can be found here. For those of you who might be interested, you can see all the presentations given at the forum by visiting here. 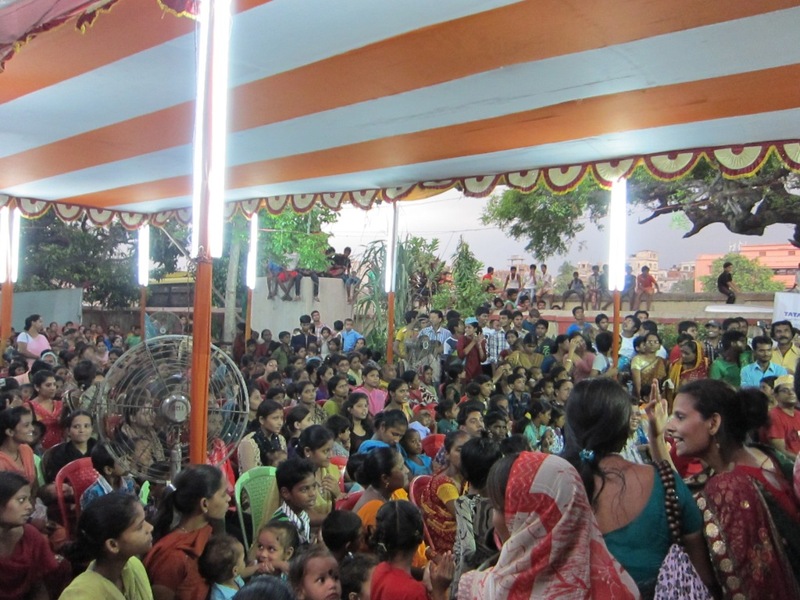 Despite the sweltering heat in the last couple months, and the impending torrential rains of monsoon, there is a lot going on at Calcutta Kids this summer. In the midst of all the new activities, in mid-May, Calcutta Kids received the wonderful news that we will be receiving a small grant to set up a child development corner in our new community center, from the J. Kirby Simon Foreign Service Trust. We are very excited about this prospect, because a child development corner will allow us to provide a more holistic approach to child growth and development within the larger young child health initiative. In the past six years, we have made remarkable improvements in the nutrition and growth of young children in Fakir Bagan. The average birth weight has increased from a dismal 1.8 kg in 2005 to 2.8 kg in 2011. Indicators of children’s nutritional status have improved greatly– in the past three years, the severe malnutrition rate has fallen by more than half, from 12.3% to 5.5%. However, there is still a lot to do to ensure that children in this urban poor community are able to achieve optimum development. Calcutta Kids became conscious that in Fakir Bagan slum as in most urban poor settings, young children have little or no access to play and stimulation. There are no playgrounds for children, and although there is a maidan (field) nearby, it is frequented by older children and teens, and usually only boys. Young children (under 3 years old) are often seen sitting passively on a cot or in the doorway, while their mothers are doing domestic work such as cleaning, cooking, fetching water, or part-time factory work such as sewing garments or making zippers. In homes, families rarely have any toys available for the young children, a luxury that many cannot afford. Play is essential to development because it contributes to the physical, cognitive, social, and emotional well-being of children. In fact, play is so important to optimal child development that it has been recognized by the United Nations High Commission for Human Rights as a right of every child. 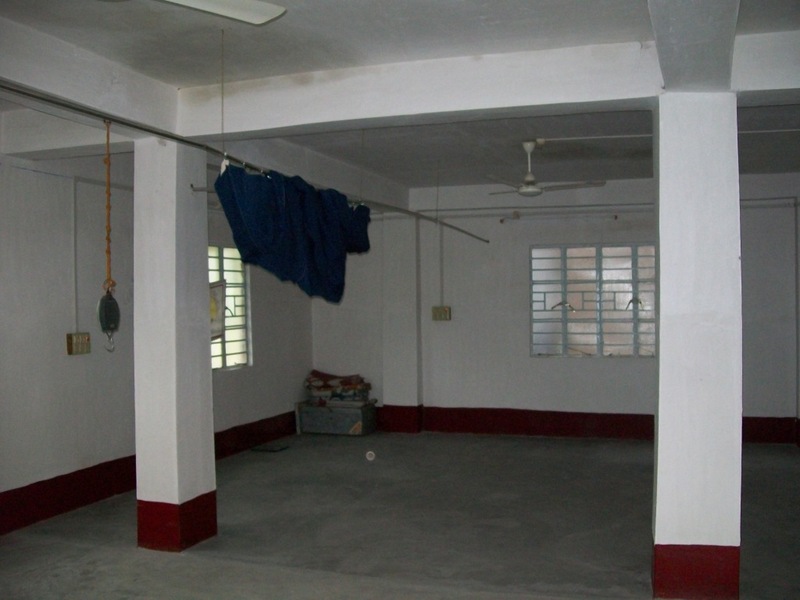 In this light, Calcutta Kids appreciates the need to create a child development component to ensure this basic right, with the goal of improved cognitive growth and overall development for all our young children in Fakir Bagan. The child development corner in the community center will be a safe, clean, and stimulating environment for young children to simply play – to create and explore the world with toys, with other children, and with their caregivers. The project will also facilitate parents’ and caregivers’ understanding of the importance of play and stimulation in child development. It is anticipated that this type of play will provide the needed stimulation that will help very young children with both gross and fine motor skills that will allow them to reach appropriate developmental milestones, develop new competencies, and improve cognitive development. It is hoped that this unique early childhood stimulation project will serve as a model for other NGOs in Kolkata who are working in child health in the urban slums. I pegged Swarathma as a small time band from a mile away. It was presumptive, sure, naïve even, but it didn’t occur to me that anyone else would play for an NGO in the dusty heat of a slum for free. Little did I know how wrong I was. When Noah divulged the details to me, I found out that the band is actually something of an Indian phenomenon. Their first album won them Best Band, Best Album, and Song of the Year at India’s most prestigious annual rock awards show. They were on the iconic TV series The Dewarists. They have toured Australia, Britian, and Morocco. And now they were playing for Calcutta Kids. Back in the old days, for every paid gig they played one for free. They’ve since run out of enough time to keep up the one to one ratio, but when they can they still try to play for those who would not see them otherwise. Thanks to their bassist and spokesman Jishnu’s old friendship with Evangeline, the final concert on the tour to mark the launch of their second album would be in Fakir Bagan. Weaving around piles of sand and through patches of the road lost in mud, Evangeline and I eventually led their van to Howrah and the impromptu stage that had been miraculously constructed for them. I think the band was almost so impressed as we were, and the juxtaposition of big-band electronics and crumbling-wall school grounds was immensely pleasing. I picked out a spot in the sea of rickety plastic chairs that bulged at the edges of the colorful canopy above it, and the band sound checked as the crowd filtered in. Chandan and Kalyan lugged some wooden benches out from the school to augment the periphery as it became clear that spectators would outnumber chairs. When all was said and done, a floor of women and children—often balanced on laps or sitting together two to a chair—gazed up at the first bandstand of their lives. Just before the band went backstage to change into performance attire, their lead singer arrived. No one was going to disappoint the crowd by admitting that he had been missing—the doctors had to knock him out cold at the hospital the night before to put a dislocated shoulder back in—and the band assured us that they could play without him. But after we left him at the hotel and told him to lie low, he just couldn’t. So with a piece of cloth to support his arm (to everyone’s amazement, he even replaced that with a guitar strap when the concert began, strumming away as though nothing had happened), he made it just in time. Security—a graying old man with a stoop and a hard stick—almost wouldn’t let him in. He didn’t have a ticket, after all. When the band took the stage and plunged into their first song, it seemed to me that an almost tangible incredulousness emanated from the audience. The end of the first number and no more than a sparse acknowledgement of applause underlined the pristine newness of the occasion: the crowd did not know how to react simply because they had never reacted to such a thing before. As the concert went on, the clouds around us darkened, rumbling closer. Just as the mood was reaching unabashed exuberance, the thunder clapped above us and the rain began to fall. At first, no one seemed to know what to do. As soon as it became clear that an inundation was in store, however, the crowd lurched into motion, fleeing either home or into the schoolhouse next door. The band and their helpers scurried to protect the equipment from the blowing rain. It’s hot here in Kolkata—incredibly hot. Humidity levels are hovering around 95%, and the mid-day temperatures are reaching as high as 112 degrees Fahrenheit. With such weather, one would expect productivity to reduce, but with so much going at Calcutta Kids these days, productivity remains high and much is being accomplished. I’d like to use this blog post to catch you up on our news and give you snapshots of what is keeping us so busy. • A new MCPC—Since 2005, we have used the same Mother and Child Protection Card (MCPC) to keep track of the growth of pregnant woman and children; remind families of best healthcare practices; and track their immunization status. Over the past several months we have revised and improved upon these MCPC cards. The changes include updating the growth chart to be consistent with that of the government of India and WHO; sections added for monitoring deworming, home visits, breastfeeding/complementary feeding; and additional space allocated for measles vaccine and for non-CK immunization information. Our Community Health Workers have collected the old MCPC cards from our beneficiaries and are tirelessly transferring information from the old cards to the new cards. • Medicine database overhaul—Evan Mullen, our summer intern through the Skolnik Internship Program arrived in Kolkata last week after completing his sophomore year at Yale University. Along with overhauling our medicine database to ensure the most efficient use of medicines, Evan is also working with our doctor, Dr. Mukherjee, on learning and then implementing the WHO/UNICEF-created Integrated Management of Neonatal and Childhood Illnesses (IMNCI ) protocol so that all of Calcutta Kids’ curative care is done following this established protocol. 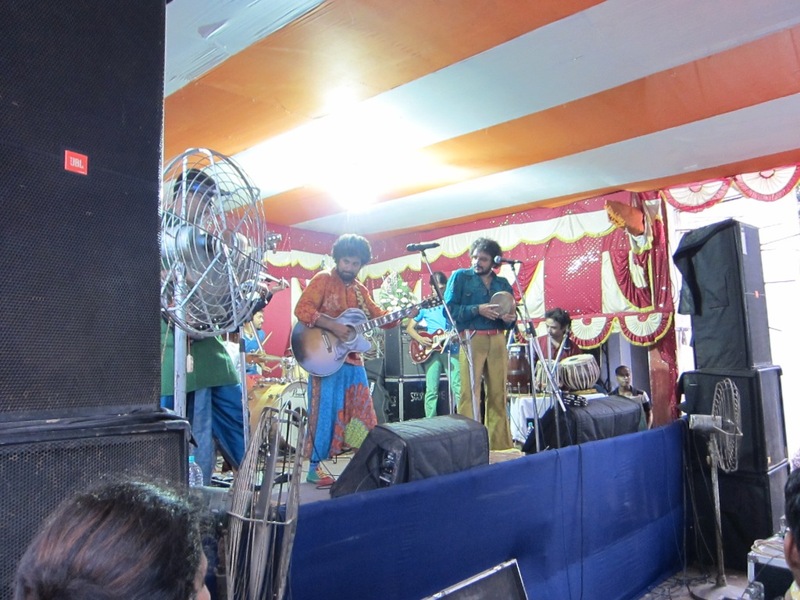 • Music for our beneficiaries—as part of the launch of their second album, the well-known Bangalore-based band Swarathma will be performing a free concert for the beneficiaries of Calcutta Kids. 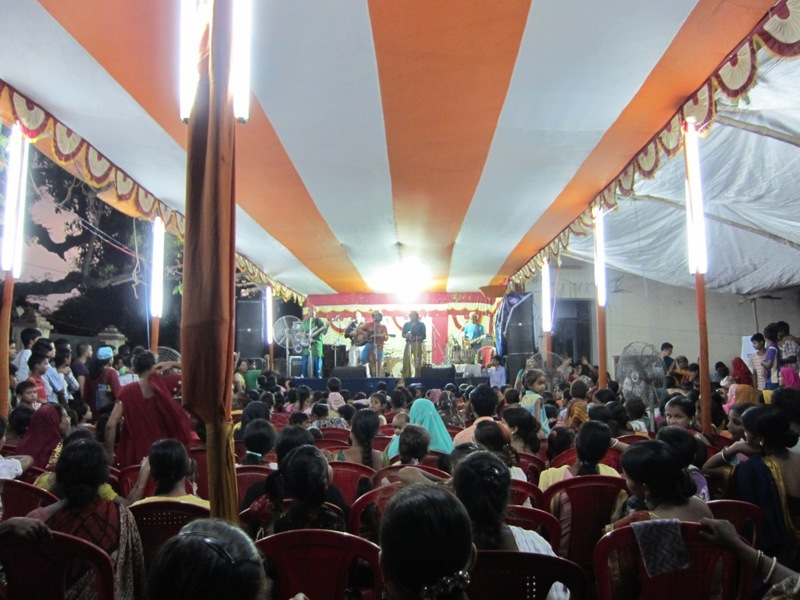 (This is a real honor for Calcutta Kids and our beneficiaries—the night before, the band will be playing at the most prestigious music club in Kolkata, Tantra, at the Park Hotel.) Especially for the women and children of Fakir Bagan who rarely venture outside the slum, this concert will be a special treat. Our blog next week will be a review of this concert. • A new HR manual—Having years of HR management experience at the Akanksha Foundation in Pune, the Child In Need Institute in Ranchi, and ITC in Kolkata, Evangeline Ambat has joined Calcutta Kids as a consultant to design a new Calcutta Kids human resources manual. The Calcutta Kids staff has asked for a comprehensive HR manual and we are confident that Mrs. Ambat will be able to deliver this much-needed document. • World Bank Development Marketplace Nutrition Award wrap-up—MYCHI Project Coordinator Sumana Ghosh and CK Director Noah Levinson, are planning their presentation to share in Kathmandu about CK’s experience with the World Bank funded Diarrhea Treatment Center . 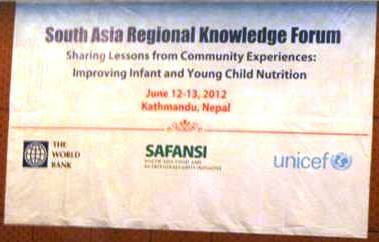 The conference takes place on June 11th and 12th and is titled “Sharing Lessons from Community Experiences: Improving Infant and Young Child Nutrition”. • AIF Fellowship transition—this is Margy Elliott’s last week at Calcutta Kids concluding her ten month William J. Clinton Fellowship through the American India Foundation. Along with building the new Calcutta Kids website, Margy has created a field-level manual for illness assessment and treatment guidance for use by our community health workers, she has been an essential part of designing and implementing our new community mobilization program, she has helped to raise funds for Calcutta Kids, and she is now wrapping up an intensive SWOT (strengths, weaknesses, opportunities, threats) analysis among key CK stakeholders. Margy has become a member of the Calcutta Kids family and we will sorely miss her. That being said, however, thanks to Margy’s marvelous experience at CK, AIF’s Clinton Fellowship Program is providing us with two fellows for the 2012-2013 year. We are excited about welcoming Pranav Reddy, and Sriya Srikrishnan who will begin working with us in September.